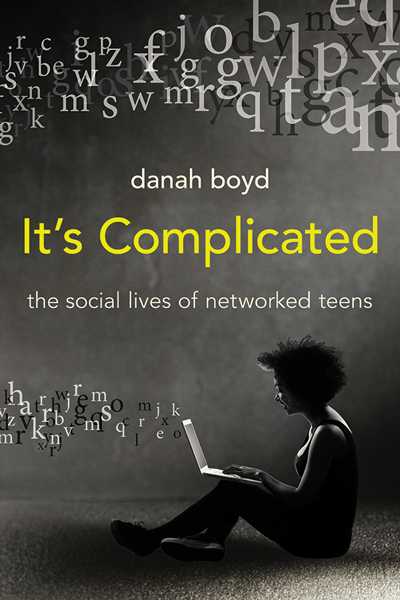 As promised, I put a free PDF copy of “It’s Complicated” on my website the day the book officially launched. But as some folks noticed, I didn’t publicize this when I did so. For those who are curious as to why, I want to explain. And I want you to understand the various issues at play for me as an author and a youth advocate. I didn’t write this book to make money. I wrote this book to reach as wide of an audience as I possibly could. This desire to get as many people as engaged as possible drove every decision I made throughout this process. One of the things that drew me to Yale was their willingness to let me put a freely downloadable CC-licensed copy of the book online on the day the book came out. I knew that trade presses wouldn’t let a first time author pull that one off. Heck, they still get mad at Paulo Coelho for releasing his books online and he’s sold more books worldwide than anyone else! As I prepared for publication, it became clear that I really needed other people’s help in getting the word out. I needed journalistic enterprises to cover the book. I needed booksellers to engage with the book. I needed people to collectively signal that this book was important. I needed people to be willing to take a bet on me. When one of those allies asked me to wait a week before publicizing the free book, I agreed. If you haven’t published a book before, it’s pretty unbelievable to see all of the machinery that goes into getting the book out once the book exists in physical form. News organizations want to promote books that will be influential or spark a conversation, but they are also anxious about having their stories usurped by others. Booksellers make risky decisions about how many copies they think they can sell ahead of time and order accordingly. (And then there’s the world of paying for placement which I simply didn’t do.) Booksellers’ orders – as well as actual presales – are influential in shaping the future of a book, just like first weekend movie sales matter. For example, these sales influence bestseller and recommendation lists. These lists are key to getting broader audiences’ attention (and for getting the attention of certain highly influential journalistic enterprises). And, as an author trying to get a message out, I realized that I needed to engage with this ecosystem and I needed all of these actors to believe in my book. The bestseller aspect of this is the part that I struggle with the most. I don’t actually care whether or not my book _sells_ a lot; I care whether or not it’s _read_ a lot. But there’s no bestread-ed list (except maybe Goodreads). And while many books that are widely sold aren’t widely read, most books that are widely read are widely sold. My desire to be widely read is why I wanted to make the book freely available from the getgo. I get that not everyone can afford to buy the book. I get that it’s not available in certain countries. I get that people want to check it out first. I get that we haven’t figured out how to implement ‘grep’ in physical books. So I really truly get the importance of making the book accessible. But what I started to realize is that when people purchase the book, they signal to outside folks that the book is important. This is one of the reasons that I asked people who value this book to buy it. For them or for others. I love it when people buy the book and give it away to a poor grad student, struggling parent, or library. I don’t know if I’ll make any bestseller list, but the reason I decided to try is because sales rankings – especially in the first few weeks of a book’s life – really do help attract more attention which is key to getting the word out. And so I’ve begged and groveled, asking people to buy my book even though it makes me feel squeamish, solely because I know that the message that I want to offer is important. So, to be honest, if you are going to buy the book at some point, I’d really really appreciate it if you’d buy a copy. And sooner rather than later. Your purchasing decisions help me signal to the powers that be that this book is important, that the message in the book is valuable. That said, if you don’t have the resources or simply don’t want to, don’t buy it. I’m cool with that. I’m beyond delighted to give the book away for free to anyone who wants to read it, assign it in their classes, or otherwise engage with it. If you choose to download it, thank you! I’m glad you find it valuable! If you feel like giving back, I have a request. Please help support all of the invisible people and organizations that helped get word of my book out there. I realize that there are folks out there who want to “support the author,” but my ask of you is to help me support the whole ecosystem that made this possible. 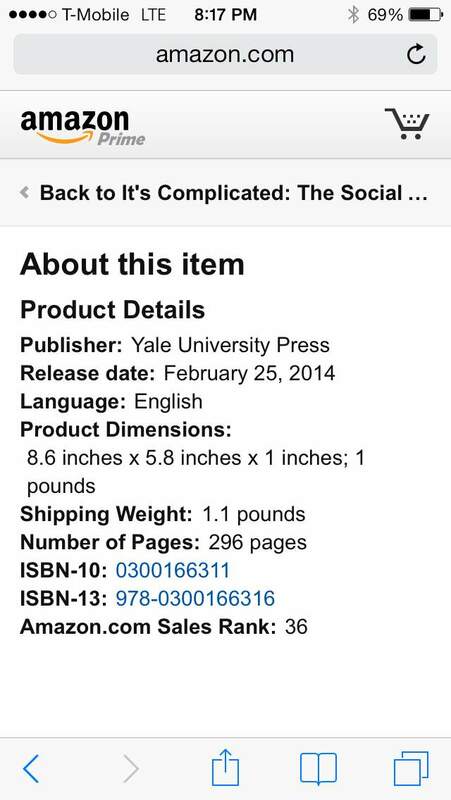 Go buy a different book from Yale University Press to thank them for being willing to publish me. Buy a random book from an independent bookseller to say thank you (especially if you live near Harvard Book Store, Politics & Prose, or Book People). Visit The Guardian and click on their ads to thank them for running a first serial. Donate to NPR for their unbelievable support in getting the word out. Buy a copy or click on the ads of BoingBoing, Cnet, Fast Company, Financial Times, The Globe & Mail, LA Times, Salon, Slate, Technology Review, The Telegraph, USA Today, Wired, and the other journalistic venues whose articles aren’t yet out to thank them for being so willing to cover this book. Watch the ads on Bloomberg and MSNBC to send them a message of thanks. And take the time to retweet the tweets or write a comment on the blogs of the hundreds of folks who have been so kind to write about this book in order to get the word out. I can’t tell you how grateful I am to all of the amazing people and organizations who have helped me share what I’ve learned. Please shower them in love. If you want to help me, spread the message of my book as wide as you possibly can. I wrote this book so that more people will step back, listen, and appreciate the lives of today’s teenagers. I want to start a conversation so that we can think about the society that we’re creating. I will be forever grateful for anything that you can do to get that message out, especially if you can help me encourage people to calm down and let teenagers have some semblance of freedom. More than anything, thank *you* soooo much for your support over the years!!! I am putting this book up online as a gift to all of the amazing people who have been so great to me for so long, including you. Thank you thank you thank you. PS: Some folks have noticed that Amazon seems to not have any books in stock. There was a hiccup but more are coming imminently. You could wait or you could support IndieBound, Powell’s, Barnes & Noble, or your local bookstore. Thanks for taking the time to explain, as many would-be authors can learn much from what you’ve written here. Few readers understand the complexities of the parts of publishing a book that have nothing to do with writing at all. Best wishes on the book being read and sold. …is there anywhere I can pay for a DRM-free epub? I’ll read it and ask my library to buy a copy. Danah is a very cool lady. Reading through the logic of how she came to understand the complicated (HA not an accident) dynamics of today’s publishing stakes MAKES me want to buy multiple copies of her book and give them away. Because she totally gets the system, and she is totally committed to beating it. This is the mark of enlightenment. Thank you, Danah. Hi I read your piece about the free download etc. and what you said sounded very cool. Speaking as a writer and small time publisher, I agree with what you said. I looked up the book and as I am not short of money I was planning to buy it, until I discovered that the ebook is more expensive than the hardback, On the US Amazon site $27 as opposed to $15. Even more weirdly on the UK site, (where I am) the ebook is slightly cheaper than the hardback, but still more expensive than the hardback is in the US £16 compared to $15. This is crazy pricing and completely goes against the gist of your article. I appreciate that this may all be your publisher or Amazon’s doing and out of your hands, but you ought at least to know about it. danah, I bought the book as I buy the CDs of my favorite bands 😉 Thank you so much for your work. your post drawing attention to a free version as a PDF came as a pleasant surprise. With some satisfaction I told my twenty-five year old daughter that the file was in her DropBox file. Her reaction was shock and horror and I think I know why! I strongly suspect that for my seventy-fifth birthday she has bought the book as a gift for me.At dinner this evening all will be revealed! Bought my copy and it’s on its way to you in NY for signing. I will share it and have borrowers initial notes/thoughts right on the pages. A paper conversation about the digital world…… Thanks, Danah. thank you for sharing the book! As a teacher, this definitely helps that it is available online… Thank you! Thank you for making this available for free. I am one of those folk who “don’t really have the moolah” to buy it. However, I am an academic librarian, and I will likely order it for our library (they do have a bit more money than I do for that sort of thing). I have downloaded a copy to my reader, and I will post my review as soon as I get to it. This looks like an important book, thank you for writing it. I hope I am one of millions of people who purchase this book just to say thank you to *you* for your generosity and your insights. I shared a link to this blog post on the Facebook page for Sudbury Valley School families. Thank you! I’ve ordered a copy for my library because it’s a very important topic, and I look forward to reading it myself! On a related note, “context collapse” and privacy issues are why I deleted my Facebook account a couple of years ago. I find this really sweet that the author is taking grief over a delay of one week. I really appreciate your willingness to make this book CC licensed at all. Not many first time authors are willing to do that. Don’t take any stock of people who think you did something wrong, you poured months into this book and you should decide how it is to be distributed. You made a promise and you fulfilled it, doesn’t matter if it took you a week. You are a good person. THANK YOU!! I’m in the last year of my PhD and am looking forward to buying books (or anything) again (and a physical copy of this book just got added to the list). It was going to take my library too long to get this in – so THANK YOU!!! thank you for this book! thank you so much. i’ve just started reading, but as someone who found (and still finds) technology and the internet extremely important to my personal and social life and development as a teenager, i feel like this is exactly what a lot of people needed. we need to be heard, so thank you. Thank you for this free valuable book Danah. Thank you very much, Danah, you´re very generous. Thank you for your hard work and dedication. Your love for the subject clearly shines through. This is book is an insight and an inspiration to a future educator and should be required reading! Thank you for making it available. Danah – very much enjoyed the book, greatly appreciate your research, and admire your passion for advocacy. Thank you for your work. I will continue to encourage others who work with young people to read it.